The wildlife, the mountains, the volcano! Awaken your senses in a preserved natural environment, share the excitement and leave with a deep, memorable connection! Small Group & Private Environmental Tours of Grand Teton & Yellowstone. Come Roam with us! Maximize your time viewing wildlife and experiencing both Grand Teton and Yellowstone national parks. Enjoy small groups, roof-hatched vehicles and professional-quality optics. THE OLDEST AND MOST EXPERIENCED GUIDE SERVICE in North America, Exum offers rock climbing instruction for kids, teens and adults of all abilities. Our programs range from fun family days on the rocks to serious alpine adventures. Call us today—climb tomorrow! Only 15 minutes from Jackson Hole, your "Glamping" destination adventure awaits. Enjoy elevated platform tents (memory foam beds, solar lighting, toilets, heated showers), all meals, with complimentary horseback rides to explore the surrounding natural beauty. 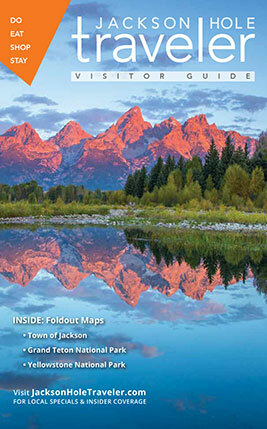 Naturalist-guided hiking and wildlife tours in Jackson Hole and Grand Teton National Park. We are Jackson Hole's original nature company – sharing the natural world since 1989. Jackson Hole Wildlife Safaris is a guide-owned and operated tour business that offers premium wildlife safaris, guided hiking, and photography workshops. The waters of Jackson Lake are yours to explore from the Colter Bay Marina. We'll start about 30 minutes North of Jackson in the Bridger Teton National Forest. The trip includes about 2 hours on the trail with great mountain scenery. An excellent option for your first backcountry experience or if you are looking for a shorter ride. Grand Teton National Park & Yellowstone National Park set the stage for our guided wildlife tours. Choose from the stunning views of the Grand Teton Range at sunset, or the geysers and fumaroles of Yellowstone National Park. Join us for a 4 day, 3 night adventure in the middle of the Teton Range. Live like the pioneers as you travel by covered wagon, ride horses, hike, and canoe. Experience is not necessary!